Book Online Instantly in 60 Seconds or Call Us at (405) 754-5100. Gone are the days of quotes, estimates, and time consuming walkthroughs. Our house cleaning maids will restore peace and order to your home, leaving you with the desire to share this wonderful experience with family and friends. Take back the time that is yours and find comfort in knowing that you can trust and depend on Home Maid Better. At All Cleaning Contractors Oklahoma we take care that you are in the best possible environment to perform a better job, because we know how difficult and uncomfortable it is to have to work in an unpleasant environment, we offer the best cleaning services for your place. If you need cleaning services for your office you can count on us, we have the qualified staff to leave your spot impeccable. Bright Cleaning Queens Oklahoma will perform a better job, because we know how difficult and uncomfortable it is to have to work in an unpleasant environment, we offer the best cleaning services for your place. If you need cleaning services for your office you can count on us, we have the qualified staff to leave your spot impeccable. Our services are also available for commercial or residential buildings, businesses, hotels and many more. Our services are available throughout Oklahoma City at the best prices, we have a very good reputation as a reliable business cleaning service. At Otto Buys Houses, we buy houses, any shape, any size, any condition in the Oklahoma City area. If you are overwhelmed with repairs, behind in payments or inherited a home, we may be the perfect solution for you. We pay cash which eliminates having to deal with banks and inspections and we typically close in 30 days. With over 10+ years in the real estate industry we have helped hundreds of homeowners get out of difficult situations. Call today to schedule your no obligation consultation. We take the chore out of your chores. 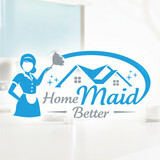 Professional maid services in Oklahoma city. Pressure Washers Connect Pressure Washing Services the Kansas City and the Greater Kansas City Area. We believe every customer deserves our best. We promise to restore your residential or commercial property to it’s original luster by applying the latest hot water pressure washing, and soft washing technology in the industry. We are professional, well trained, fully insured, affordable, environmentally conscious, and always safe so you can rest assured that the job will be done right the first time. We’ve got you covered. Let our experts give you a free estimate today. Just look at these results! 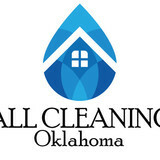 What should I expect from a house cleaner in Oklahoma City, OK? Most professional Oklahoma City house cleaning services will do the same tasks for a basic residential cleaning job: clearing dust and cobwebs from all surfaces and fixtures; wiping all surfaces, including sinks, tubs, counters mirrors; cleaning tile; vacuuming and mopping. You may want to have different rooms detailed at different times, so ask about doing a rotating schedule if you want them to pay extra attention to each space (like kitchens and bathrooms) every other cleaning. Some house cleaning companies in Oklahoma City, OK will also offer additional services such as window washing or appliance cleaning, so ask about incorporating them into your deal or doing them as a one time thing if you’re interested. Pick up any clutter (laundry, toys and other gadgets) and put pets in a secure spot so they feel safe and don’t get in the way of the Oklahoma City house cleaning company. Put out any specific cleaning products or tools you want used, and make sure to lock up any valuables that you don’t want disturbed. Most housekeeping services in Oklahoma City, OK will enter with a spare key or garage code, but if that isn’t something you’re comfortable with then you should arrange for them to come when you are home to let them in. Typically Oklahoma City house cleaners expect payment at the time of cleaning, so ensure you have the appropriate form of payment (cash, check or credit card) on hand, plus a little extra for tip if that’s your style and they do a great job. 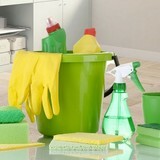 Find Oklahoma City house cleaning services on Houzz. Narrow your search in the Professionals section of the website to house cleaners in Oklahoma City, OK and contact local companies to ask questions and get quotes.